Last month Beacon shipped a beta version of BEAM Test 4. This new version brings the underlying technology up-to-date, improves performance, and updates the user interface for ease-of-use, while preserving compatibility with existing customer scripts and other test assets. A March time frame looks likely for general availability for new and existing customers. 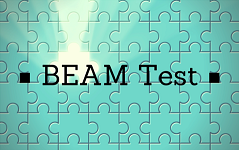 BEAM Test 4 is primarily a technical upgrade, modernizing and refreshing the product. The new release also replaces its proprietary underlying database with technology from MongoDB. Users will find better performance and compatibility with other third party products, such as Microsoft Office. Runs on .NET 4 instead of the obsolete .NET 1.1 release. .NET 4.0 provides 64-bit support that will provide performance improvements. .NET 4 gives BEAM Test access to all the new Microsoft functionality. Business Product Documents supports the Open Office XML (docx) format so any version of Microsoft Word will be supported. Refresh of the UI – the entire user interface has been rewritten. It is faster, with many ease-of-use improvements. Simpler to use and new controls. Uses MongoDB to store internal data. This is a modern, no-SQL document database that will make it easier to share Test objects. BEAM Test 4 supports current (and previous) supported versions of PeopleSoft applications and tools. Windows 7 and Windows server versions will be supported in Release 4, with support for Windows 10 to come. BEAM Test is the only third-party tool for PeopleSoft testing that is Oracle Validated. BEAM Test is compatible with all PeopleSoft applications, including FSCM, HCM, Campus Solutions, and CRM.